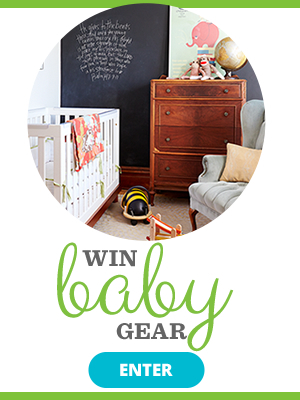 Getting ready to transition the nursery into a toddler room? It can be a lot of fun. 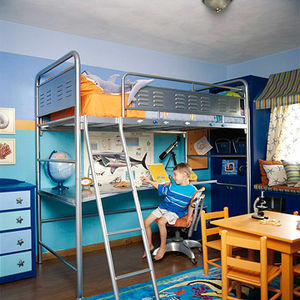 Here you'll find bedroom decorating ideas for boys and girls, including furniture, storage, d&eacute;cor, and more. Make sharing a room fun with these creative decorating tips. Looking for inspiration to decorate your daughter's room? 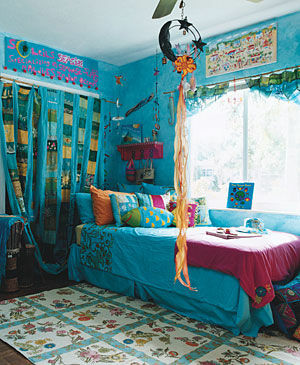 Check out these creative and fun girls' bedroom ideas. Whether you want something trendy or classic, we have all the visual cues you'll need to get started on the space of her dreams. 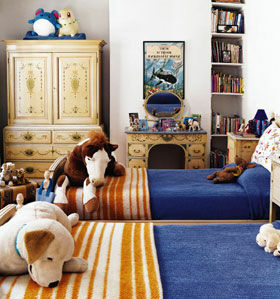 Create a bedroom full of boyhood spirit and fun with these decorating ideas. 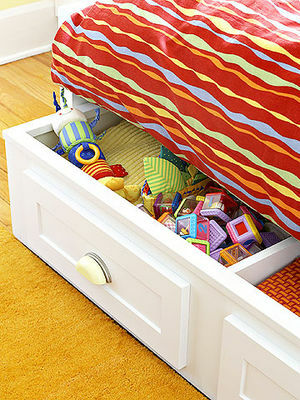 Use this step-by-step guide to make the transition to a big-kid bed easier! Sharing a bedroom doesn't have to spark a sibling squabblefest. Help maintain your home's harmony by using our tips to divide, decorate, and save space. 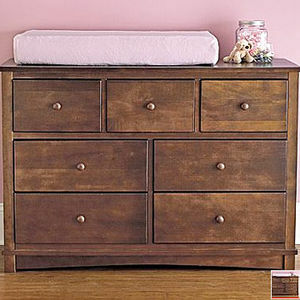 Don't be fooled -- these changing tables can instantly transform into a dresser that will last your child many years to come. 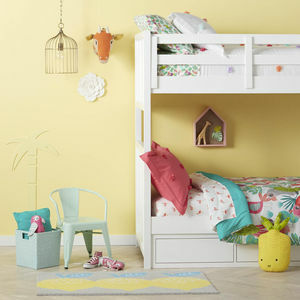 Check out our tips for creating fabulous shared spaces for siblings who bunk together. 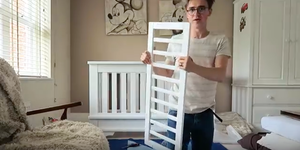 Anyone who has ever put together a piece of baby gear will appreciate dad Tom Fletcher's take on the crib-to-bed conversion. 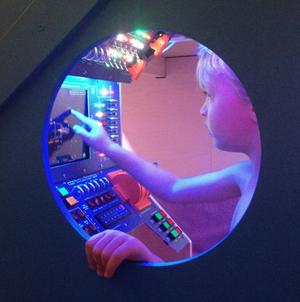 A Brooklyn dad built a spaceship loft bed for his son that will blow your mind. 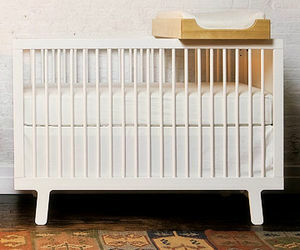 Find out which cribs can easily transition into a big-kid bed as your child grows. Easy, budget-friendly ideas help transform a boring room into a haven for a budding marine biologist. 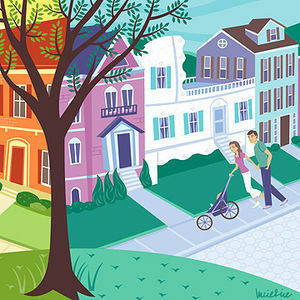 Is it possible to keep your house, your life, and your kids in order? These stylish clutter-busters will make getting organized easy and fun. Get inspired by these magnificent kid spaces -- winners of CHILD's annual Home Contest. 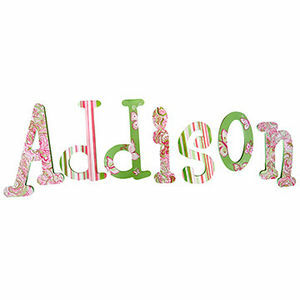 Kids love having their own space, and wall letters are a fun way to personalize their bedroom. Hang them above the bed or on any wall to lend your kids' own style to the room. Top experts answer your questions on the best beds for boys sharing a room and how to keep the living room from being overrun with toys. A vintage twist on a classic boy's theme gives this room hot-rod attitude. Inspired by pop icon Madonna, this Michigan showhouse enjoys a storybook ending. The release of Target's newest home line might just leave your kids begging for a whole new bedroom. Freshen up your kid's bedroom with clever design ideas from Child readers. Upgrading from a crib to a toddler bed should be an exciting transition, not one that's overwhelming or scary. Luckily, there are many options to make the move as positive as possible once your child feels ready. 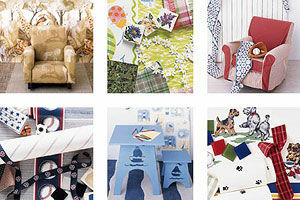 Furnishings and fabrics that make decorating easier than ever.